The town's name honors the patron saint: St. Denis. The municipality of Saint-Denis, is well connected to Valtournenche and the town of Chambave, and is composed of numerous districts, that form the shape of a grape leaf, and located between the prominent Colle di San Pantaleone and the shores of the Dora Baltea. 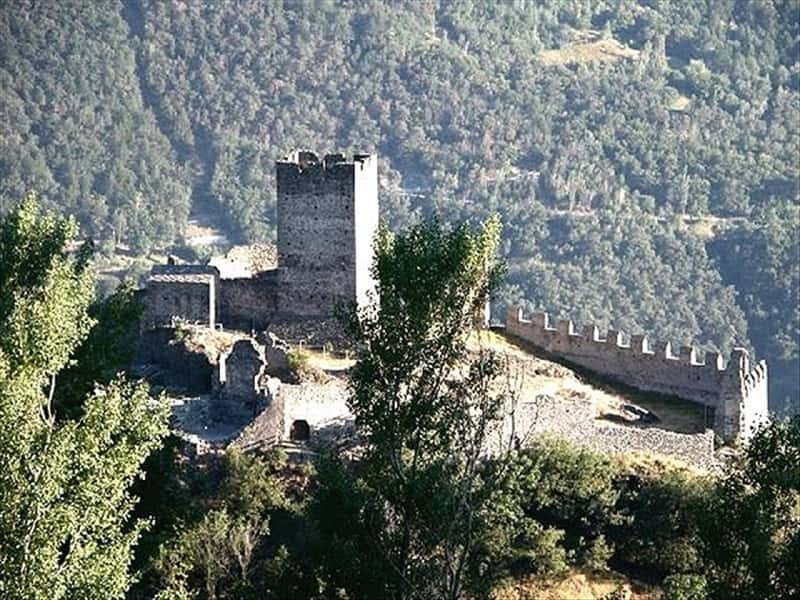 The old castle, located at about 300 meters above the village, overlooks the whole Dora valley. The favorable climate and the presence of numerous trails of varying difficulty, which run through the unspoiled nature, make of this area a pleasant excursion destination during all seasons of the year. The discovery of some remains of protohistoric Ages, in the area where the castle stands today, allow the historians to hypothesize the presence of settlers since the most distant epochs. During the medieval period, the village of Saint Denis was under the jurisdiction of the Lords of Cly, dominant on a large fief that included, in addition to Saint Denis, the whole Valtournenche, Verrayes, Chambave, Antey Saint Andre, Torgnon and Diemoz. Later it was ceded to the Savoy, that ruled here till 1550. The castle of Cly in the Romanesque style, was built by Boniface of Challant in 1250 on a previous structure, at approx. 800 meters above sea level. Located on a rock in a dominant position, it housed a garrison that controlled the nearby road and its commercial traffic. Challant belonged to a branch of the Family of Cly, that abandoned the town in the XVI century with the former owners, the Barons Roncas. The complex consisted of several structures, the oldest dating from the XIII century, the successive additions are of the XIV century. Of the imposing original structure remain only a square tower, which is marked by numerous rearrangements, and the walls are provided with battlements, interrupted at the corners with round towers, a Romanesque chapel with a rectangular base fitted with an apse, whose paintings have faded and almost completely disappeared, an underground cistern and ruins of residential buildings. The Parish Church of St. Denis, founded in the late XVIII century and recently restored, features a tower dating from the XV century. The Chapel of St. Raphael in Cuignon. The Chapel of Saint Evence in the village of the same name, about half an hour from Colle di San Pantaleone, already existing in the XIII century. It dominates the entire valley Marmore and retains an altar with a painting by Vauterin of 1853. The Chapel of Our Lady of the Snows in Del. This town web page has been visited 11,177 times.